Bankruptcy is a tool that individuals and corporate entities may use to escape or restructure certain debts. A person or a corporation may file bankruptcy as often as every eight years. There are two basic types of bankruptcy: liquidation and restructuring. A liquidation bankruptcy is filed under Chapter 7 and results in the outright elimination of most debts. A restructuring bankruptcy is usually filed under Chapter 11 for corporations or Chapter 13 for individuals. It usually ends in a plan to repay all or portions of debt. Homeowners usually file Chapter 7 bankruptcies seeking to escape their debts. Pre-petition debts are those debts that existed prior to filing the petition for bankruptcy. Post-petition debts are those that came into existence after the petition is filed. For example, if the homeowner has been in the arrears in assessments starting January 1, and then files bankruptcy June 30, then all the January 1 – June 30 assessments are pre-petition debt, and the assessments starting July 1 are post-petition debt. The bankruptcy will likely eliminate the owner’s personal obligation as to the pre-petition debts, but the homeowner remains personally responsible for the July 1 and all subsequent assessments, so long as the individual owns the property. The bankruptcy does not inhibit the Association’s collection efforts for July 1 and later assessments after the stay lapses. Regardless of the type of bankruptcy chosen, filing the petition in bankruptcy results in an immediate stay (halt) in any collection efforts. This would include any pending lawsuits against the person filing bankruptcy or any HOA collection activity (such as sending demand letters, etc.). 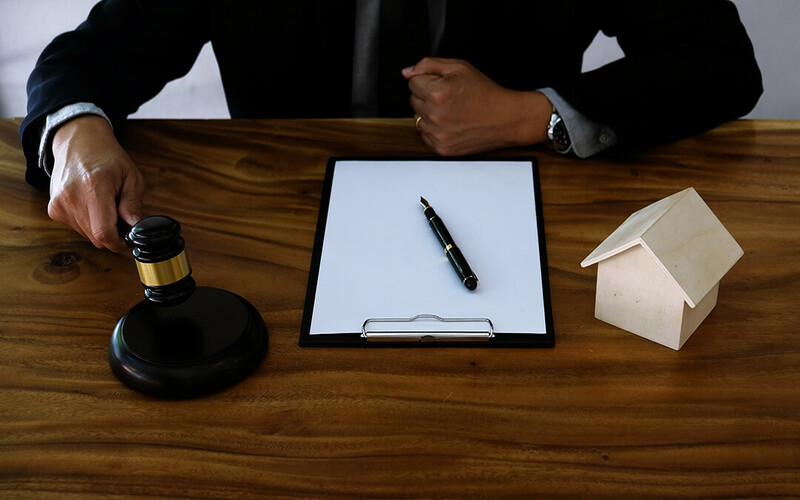 For example, if the Association is about to get a foreclosure judgment against the homeowner, and the homeowner files for bankruptcy, the stay precludes the judge from issuing that foreclosure judgment at that time. The stay stops all collection efforts, whether it is phone calls, collection demand letters, a foreclosure lawsuit, or a lawsuit for a personal money judgment. If the Association will be harmed by the stay, it can make a request with the bankruptcy court that the stay be lifted. The association can collect on pre-petition debts only if the stay is lifted, or if the case is dismissed and closed. Collection efforts may continue for post-petition debts. Assuming the homeowner files a Chapter 7 bankruptcy and is seeking to eliminate all of his debts, the Association may not be out of luck. Generally, an Owner in an association is personally obligated to pay assessments (meaning the Association can collect assessment amounts and other charges from an owner’s assets (such as bank account or wages), and the assessments are secured by a lien (see A.R.S. 33-1807; A.R.S. 33-1256). The good news for the Association in Chapter 7 cases is that if the debtor receives a discharge on that debt, only the owner’s personal obligation is extinguished. The Association’s lien for the pre-petition amounts still remains, meaning the Association can still foreclose on the amounts (if it is eligible, and subject to statute of limitations). In a Chapter 13 bankruptcy case, the goal is to have the debtor repay delinquent amounts owed to creditors included in the bankruptcy. The good news with Chapter 13 cases is that the Association is likely to receive money to repay the debt, since it is a secured creditor. The bad news is that this process can take several years, and unless the stay is lifted, the Association cannot take any collections actions as to the pre-petition amounts owed. If you have questions about a bankruptcy problem in your community, please contact the attorneys at Goodman Law Group. We have the experience to help your Association navigate the complexities of pursuing claims despite the filing of a bankruptcy.